A former trial attorney at the U.S. Department of Justice and with the San Francisco law firm of Orrick, Herrington & Sutcliffe, Eileen Barker has been a professional mediator for over 25 years, helping thousands of people resolve commercial, employment, and family disputes. 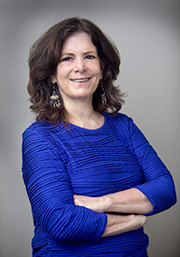 Eileen provides mediation services in high-conflict matters, such as divorce and other interpersonal disputes. This work has led her into a deep understanding of forgiveness as it relates to resolving conflict and making peace, both with others and oneself. She is an internationally recognized mediator, forgiveness teacher, and pioneer in the movement to integrate emotional healing and forgiveness in conflict resolution. Eileen uses a ground-breaking process for resolving disputes, one that integrates truth and reconciliation, with restorative justice and forgiveness. It is designed for healing conflict that arises in families, work teams, groups, and communities. Eileen is the author of the Forgiveness Workbook and a law review article entitled The Case for Forgiveness in Legal Disputes, 13 Pepperdine Dispute Resolution Law Journal 205 (2013). She is currently writing a book (with MWLLP partner Barbara Monty) on forgiveness for lawyers and mediators. In 2016, Eileen received a lifetime achievement award, along with Nelson Mandela and Archbishop Desmond Tutu, from the Worldwide Forgiveness Alliance. U.S. Justice Department, Washington, D.C.
Divorce and family mediator for over 25 years, as well as substantial litigation experience. Internationally recognized for championing the importance of forgiveness in resolving legal disputes. Author of ground-breaking law review article, The Case for Forgiveness in Legal Disputes, 13 Pepperdine Dispute Resolution Law Journal 205 (2013). Extensive experience teaching university courses on mediation, negotiation, conflict resolution and forgiveness, including at courses UC Berkeley School of Law, UC Hastings College of Law, Sonoma State University, and JFK University. Has given many keynote speeches, conference sessions, and bar association presentations, including Forgiveness: Why It Matters in Mediation, ABA Dispute Resolution Conference; Helping Clients Forgive, Association for Conflict Resolution Conference; Forgiveness: The Ultimate Tool of Conflict Resolution (with Dr. Fred Luskin), ABA Dispute Resolution Conference; and The Magic of Forgiveness (with Ken Cloke), Association for Conflict Resolution Conference. Numerous published articles, including The Case for Forgiveness in Legal Disputes, 13 Pepperdine Dispute Resolution Law Journal 205 (2013); What the BLEEP Does Spirituality Have to Do with Conflict Resolution?, ACR Magazine, Fall 2005; and Emotional Literacy for Mediators, Association for Dispute Resolution of Northern California, No. 67, Spring 2003. Former President and Board Member, Marin County Women Lawyers. Trustee, Marin County Law Library. Spirituality Section Chair, Association of Conflict Resolution. Secretary, ADR Section, Marin County Bar Association. Board Member, Northern California Mediation Association (now known as ADR-NC).